"Building and operating a 24-hour news network from scratch in a region that was once in violent turmoil presents a unique challenge." "N1 is a regional and world news platform utilising the CNN brand affiliation, content, know-how and training and is distributed through pay TV platforms across Bosnia and Herzegovina, Croatia, Kosovo, Macedonia, Montenegro and Serbia." 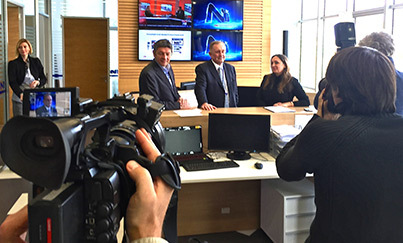 As an internationally recognised and award-winning journalist at the heart of world news coverage over 25 years, Brent Sadler is uniquely positioned to lead N1 – the Adria region's first flagship news network. After years of reporting from the turmoil and danger of armed conflicts, including the break-up of the former Yugoslavia, Sadler began to wind down his front-line reporting career when he became a special correspondent for CNN's flagship programme, "Inside the Middle East". Sadler joined CNN in 1991 after 10 years as a news reporter for the British network Independent Television News (ITN) where he was their Middle East Correspondent. N1 is a regional and world news platform utilising the CNN brand affiliation, content, know-how and training and is distributed through pay TV platforms across Bosnia and Herzegovina, Croatia, Kosovo, Macedonia, Montenegro and Serbia. 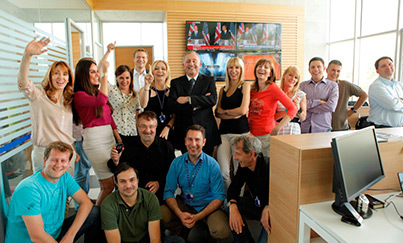 N1 is an impartial, high-quality news service for the Adria region as a whole, operating according to the highest news reporting standards from production centres in Belgrade, Sarajevo and Zagreb, employing local journalists and technicians. The network has an affiliate agreement with Turner Broadcasting System Europe Limited, parent company of CNN International, that makes N1 the CNN exclusive affiliate news channel in the region. 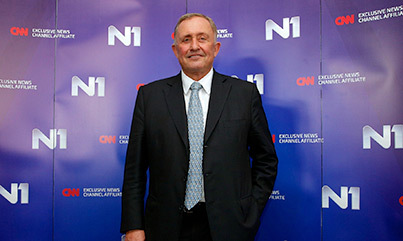 Adria Media, a member of the United Group which is dedicated to the production of pay TV channels, is the sole owner of channel N1. United Group is a European broadcasting and telecom operator active in Slovenia, Croatia, Serbia and Bosnia and Herzegovina in which the private equity firm Kohlberg Kravis and Roberts has recently invested to develop this important market for Southeastern Europe. The European Bank for Reconstruction and Development is also a stakeholder. N1 was launched in October 2014.